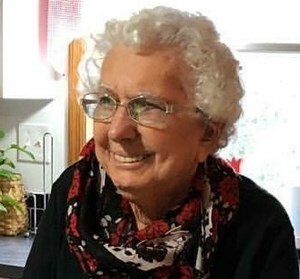 Newcomer Family Obituaries - Juanita Price 1933 - 2018 - Newcomer Cremations, Funerals & Receptions. Juanita Price, age 84, passed away Friday, September 7, 2018. She was born on October 29, 1933 in Gallipolis, OH. Surviving family includes daughters, Ruby (Kent) Skipper, Brenda (Bill) Ullom, Vera (Fred) Keer, Nancy (Tom) Wolf, , grandchildren, Tim (Stephanie) Skipper, Jessica (Jed) Harvey, Lyndsey (Clay) Bales, Kristin (Tim) Donnell, Tara (Wade) McComas, Amy (Brian) Roloff, Chelsea (Robin) Prenter, Morgan (Migail) de Klerk and 16 great-grandchildren. Preceded in death by husband, Wayne Price, parents, Wallen Emerson and Louise (Rood) Hively, siblings, Ray Hively, Martha Fillinger and grandson, Dustin Keer. A private graveside service will be held at Sunset Cemetery, Galloway, OH, Monday, September 10, 2018. In lieu of flowers, memorial donations may be made in Juanita's name to Simanyene Group Disability Home, South Africa, ABWE Account # 0762141, P.O. Box 8585, Harrisburg, PA 17105-8585. A Celebration of Life will be held at 1pm, Saturday, September 15, 2018 Memorial Baptist Church, 2435 Eakin Road, Columbus, OH 43204. Add your memories to the guest book of Juanita Price. So sad to hear of Juanitas passing. We bought her house at the end of 2015. We are still here and love it. She was just as sweet as can be and we would go visit her on occasion. We are thinking of you all and at this of sorrow. Peace be with you, and thank you Juanita for gracing us with your presence. Although only briefly met Juanita I could tell she was a special lady. Please accept my heartfelt condolences. Thoughts and prayers for comfort to all. Edie@ Hoover Haus. My thoughts and prayers are with you. Your mom was an angel on earth! I know that for a fact. She is resting in peace now, with your dad.. There are no words to express the grief of losing your parents. Please know that I will keep you close in heart and prayer. I am unable to attend the celebration of mom's life on Saturday. I will be with you in thoughts. So Sorry to read of Juanita Price passing. Our mother Anyce Milam spoke of her often when talking about her early days in Galliopolis Ohio. She spoke about her husband Wayne Price as well.